Machu Picchu can only be reached by hiking the Inca trail, or alternatively by taking a train. Traveling to Machu Picchu by train is a spectacular journey through the Andean foothills following the Urubamba River, leading you into the cloud forest to arrive at the small town of Aguas Calientes. From the station of Aguas Calientes at the base of Machu Picchu, you take a thirty-minute bus ride up to the iconic ruins. There are two train companies that operate the train route to Machu Picchu – PeruRail and Inca Rail – both offering trains with a variety of schedules and service levels to suit luxury travelers and backpackers alike. The most luxurious way to travel by train to Machu Picchu is on board the luxury Hiram Bingham service, or privately chartering Inca Rail’s Private Machu Picchu train. Aracari arranges train tickets to Machu Picchu as part of any tailormade trip to Peru, not as a standalone service. Trains to Machu Picchu – all ending at Aguas Calientes at the base of Machu Picchu – principally depart either from Poroy, twenty minutes outside of Cusco (13km / 8 mi), and Ollantaytambo in the Sacred Valley, which is around a one and a half hour drive from Cusco (86km / 54mi). There are also more limited departures from Urubamba, also in the Sacred Valley. 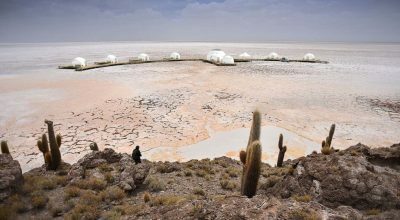 Furthermore, the luxury hotels Belmond Rio Sagrado and Tambo del Inka also have their own stations, operating limited schedules for guests staying in these properties. Trains leaving these hotels stop in Ollantaytambo for other travelers to board on their way to Machu Picchu. Whether you depart from Poroy or Ollantaytambo will depend partly on where you’re starting from and whether it is rainy season or not; in rainy season a bi-modal road/train service operates as trains do not leave from Poroy but from the stations in the Sacred Valley. If you’re already in Cusco, departing from Poroy is usually the most convenient option. The train journey time from Poroy to Aguas Calientes is three and a half hours one-way. If you’re already in the Sacred Valley, Ollantaytambo will likely be more convenient to get to. An exception might be if you’re staying in the Sacred Valley but taking the Hiram Bingham train to Machu Picchu, when you might want to consider driving back to Poroy and board at the starting point to make the most of this luxurious journey. As the Sacred Valley is closer to Machu Picchu, the train ride from Ollantaytambo is shorter than from Poroy, taking only one and a half hours. If you’re looking for the shortest journey time, keep in mind road is quicker than rail. This means that if you’re in Cusco it’s possible to drive to Ollantaytambo (as opposed to taking the train from Poroy), and from there take the train to Machu Picchu, for an overall shorter journey time. Similarly when you’re returning from Machu Picchu, getting back to Cusco is slightly quicker if you disembark in Ollantaytambo and drive the rest of the way, as opposed to continuing by train to Poroy. This can be particularly useful if you’re leaving Machu Picchu in the late afternoon or evening and don’t want to get back to Cusco too late. PeruRail and Inca Rail both offer a wide choice of trains. Luxury travellers can choose between the top trains of each company respectively: the magnificent Hiram Bingham, or privately chartering Inca Rail’s The Private Machu Picchu Train. 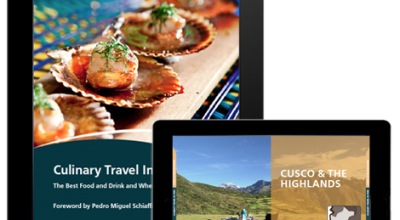 These both offer gourmet dining and entertainment to travel to Machu Picchu in style. 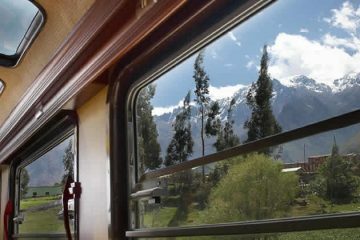 Premium trains available are the First Class Train (Inca Rail) and Sacred Valley train (PeruRail), while comfortable options to admire the views are The 360 (Inca Rail) and Vistadome (PeruRail). Inca Rail also operates The Voyager, geared towards backpackers. PeruRail and Inca Rail both have trains operating from the stations of Poroy and Ollantaytambo. Each train has a different schedule, so not all trains leave from both stations. The Private Machu Picchu train, available only for private charter, only leaves from Ollantaytamboo. The premium Sacred Valley Train only departs from Urubamba. Contact us to speak to an expert travel planner about choosing the best train to Machu Picchu and plan a tailormade trip to Peru. 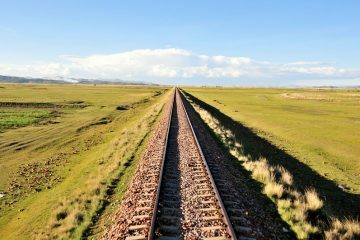 With trains to suit all travel styles and budget, you might also like to consider combining two different trains, for example taking a comfortable service like the Vistadome train to Machu Picchu, and rounding off your trip to Machu Picchu with a return to Cusco aboard the luxurious Hiram Bingham train, enjoying intimate dining and an open bar. All trains travel to, and end in, Aguas Calientes. As the trains follow the river on the way, we prefer the views on the left hand side on the way to Aguas Calientes – keep a look at for Inca ruins during the journey – and on the right hand side on the return. We highly recommend you travel in the daytime for at least one of your train rides otherwise you will miss the views after the sun has set. You need to be at the train station half an hour before your train departs – if you’re travelling on the Hiram Bingham you’ll enjoy a glass of bubbly and live music as you wait to board. Here we provide a round-up of the different trains you can choose from to travel to Machu Picchu. Travel in serious style to Machu Picchu on the Belmond Hiram Bingham departing from Poroy, 20 minutes outside of Cusco. Sip a glass of bubbly before you embark, with fine-dining lunch or dinner served en route. Live music in the bar accompanies part of this incredible train ride. The train operates a bi-modal service in rainy season and you can optionally embark in Ollantaytambo year-round. You might also be interested in the Private Machu Picchu train. PeruRail’s Sacred Valley Train to Machu Picchu is a premium experience. Enjoy a gourmet lunch or dinner in the dedicated dining car, or head to the observatory car and enjoy a drink at the bar as you watch the vistas from the train. 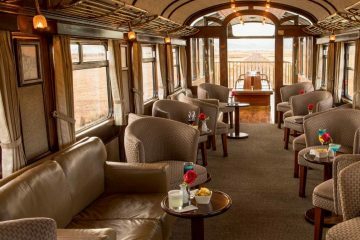 You might be interested in upgrading to Inca Rail’s First Class Train, or PeruRail’s Belmond Hiram Bingham. 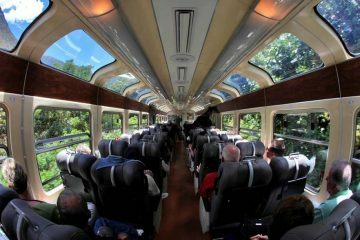 The comfortable Vistadome train has panoramic windows designed to maximize the views on board. A light snack and non-alcoholic drink is included. The Vistadome is comparable to Inca Rail’s 360 Train and a step up from Inca Rail’s The Voyager. 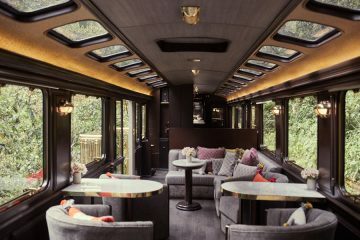 For luxury travelers seeking first-class comfort, the Private Machu Picchu Train is the most exclusive way to travel to Machu Picchu. 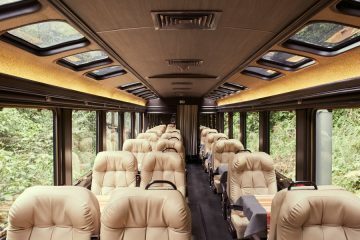 The private carriage fits a maximum of 8 guests and is the only private charter train service to Machu Picchu. Champagne, a five-course menu open bar and live music are all included. If you’re looking for luxury but without privatizing your own carriage, check out the Belmond Hiram Bingham or First Class service. Inca Rail’s revamped First Class service greets you with a welcome drink and gourmet menu accompanied by wine. There’s an observatory lounge and live music to entertain on board. You might also like to consider the Belmond Hiram Bingham. 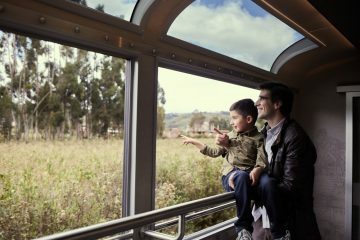 With panoramic windows and a glass observation car, Inca Rail’s 360° Machu Picchu Train service was built with the surrounding scenery in mind. The train offers a comfortable experience to soak up the views. The service is similar to the Vistadome train by PeruRail. Inca Rail’s most affordable option, The Voyager Train is geared towards backpackers. The only ways to reach Machu Picchu are journeying by train or hiking the Inca trail. The classic Inca trail is a multi-day camping trek ending in Machu Picchu; from there you return to Cusco or the Sacred Valley by train. The one-day Inca trail is a shorter day hike, following just the last stretch of the full Inca trail hike. 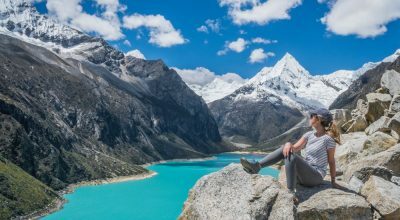 For this, you take the train from Ollantaytambo in the Sacred Valley and hop off early at Kilometer 104, en route to Machu Picchu, to arrive at Machu Picchu on foot in the late afternoon. You return the following day by train. In addition to the wide range of trains to Machu Picchu, there are also fantastic scenic train rides through southern Peru. 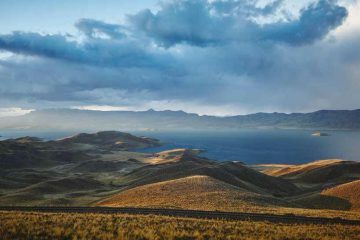 A wonderful day train ride can be enjoyed on board the Titicaca train, connecting Cusco and Puno in Lake Titicaca. The train journey operates in both directions, and takes around 10 hours. Alternatively, the Belmond Andean Explorer, offers a sublime experience for luxury travellers on this sleeper train. 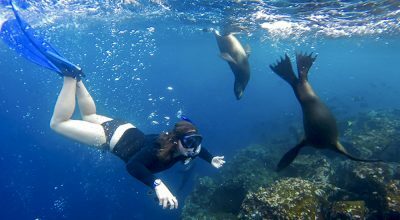 The two day itinerary connects Cusco and Lake Titicaca, the three day itinerary connects Cusco, Lake Titicaca and Arequipa – the routes operate in both directions.